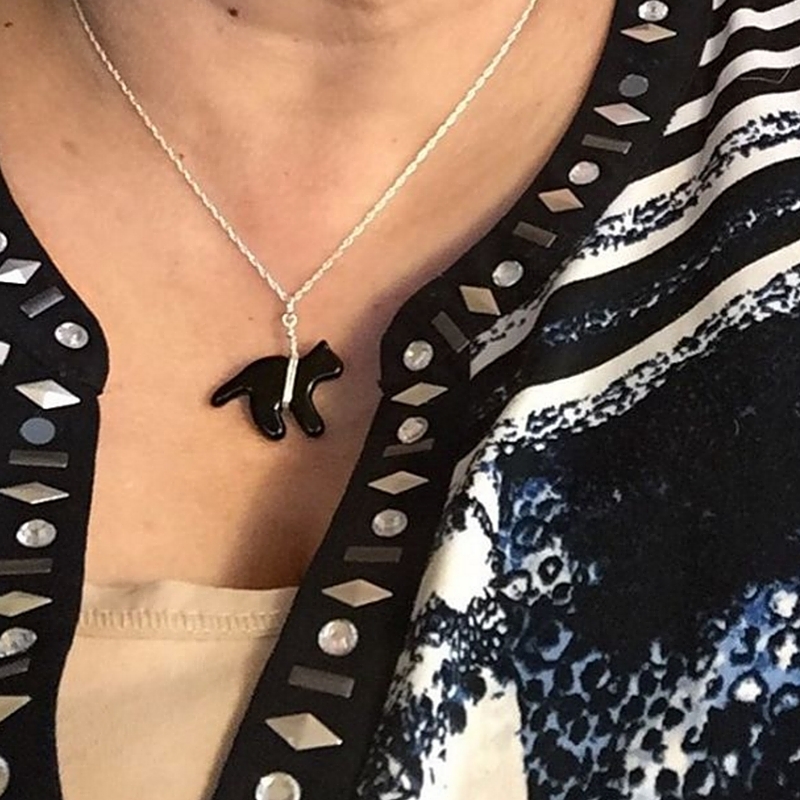 Our very first original, one-of-a-kind jewelry design. 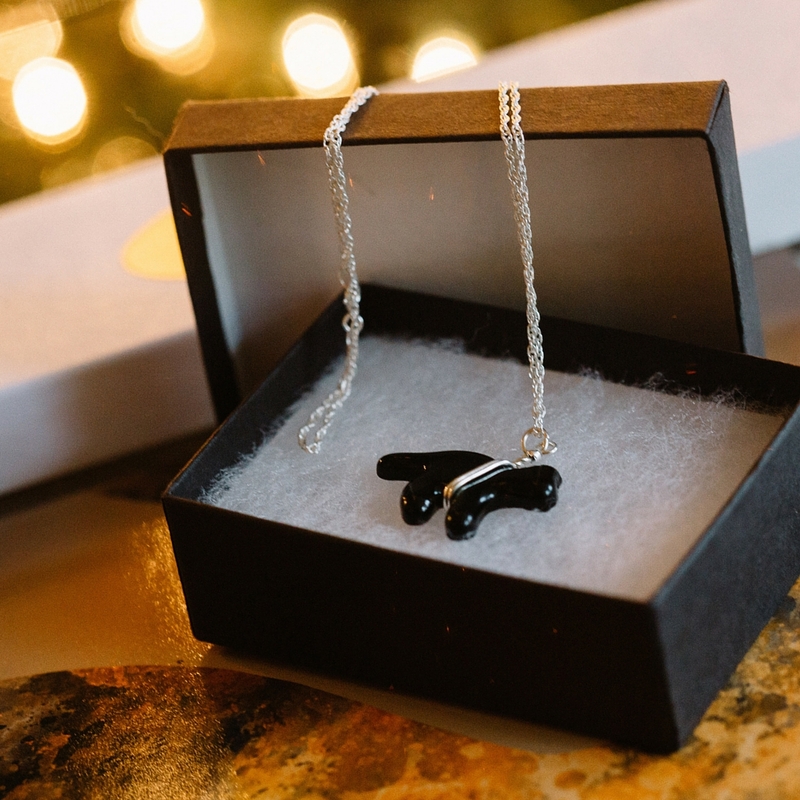 This delicate glass black cat necklace was inspired by a very special woman and her black cat. If you Google "Isis and Joan", you'll see the story of how a community of thousands of cat lovers, led by CatLadyBox founder, Dorian, came together to help make a dying woman and her cat's every wish come true last Christmas season. It's a magical reminder of just how amazing cat people really are! 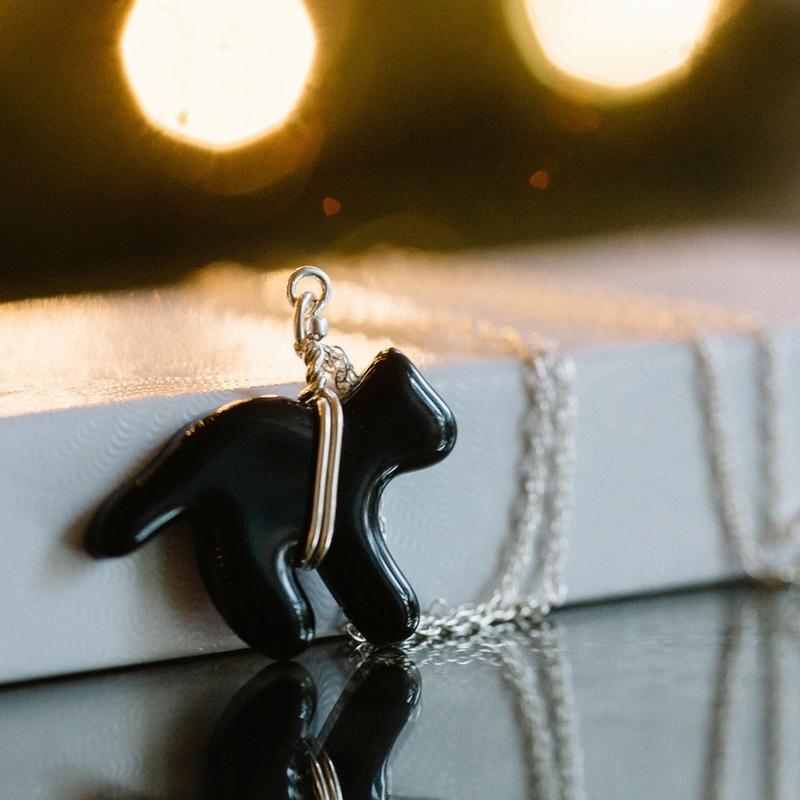 Hand-poured glass black cat pendant with a hand-worked 18" sterling silver chain.